According to the Department of Energy, homes leak between 25%-40%. In simple terms, the air is not getting to where it is supposed to and is wasted. Over 90% of existing buildings located throughout North America have air duct systems that contain small holes and cracks. On average, 30 cents of every $1 spent on heating and cooling a house never makes it to your living space. Aeroseal will seal holes up to 5/8" during the normal range of productivity. Sealing ductwork will help with hot and cold rooms in a home. Sealing ductwork has a potential savings 5 times greater than upgrading your windows and is the #1 thing you can do in your home to save money on your heating and cooling bills. Leaky ducts contribute to odors and other indoor air quality (IAQ) issues. What is the payback period for this type of service? If the leakage is inside of my home, isn't the air still heating my home? 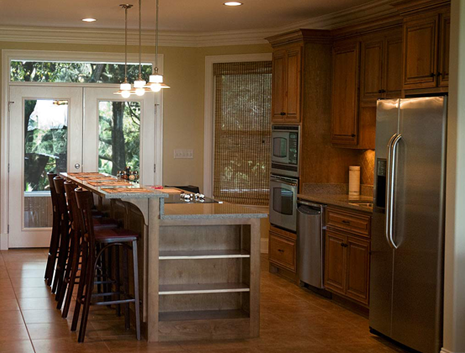 Ductwork is designed to deliver air to specific spots through the "forced air" design. 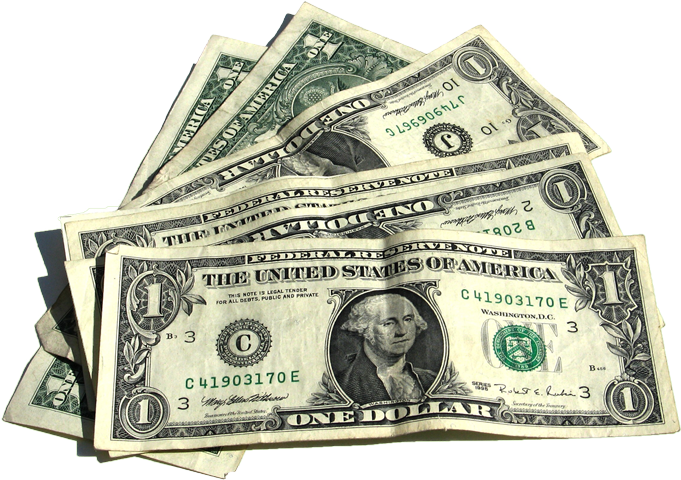 When you have leakage in walls, floors, basements, crawl spaces, attics it is costing you money. Although the idea that this will still heat the home is thrown around, forced air systems are designed to deliver conditioned air through the register and not heat through the radiant heat process. What type of home sees the biggest benefit from Aeroseal? Even the smallest of homes can have leakage of 800 CFM which is the equivalent of a 160 square inch hole. Each small hole adds up to one giant hole leaking air to places it was not designed to go. 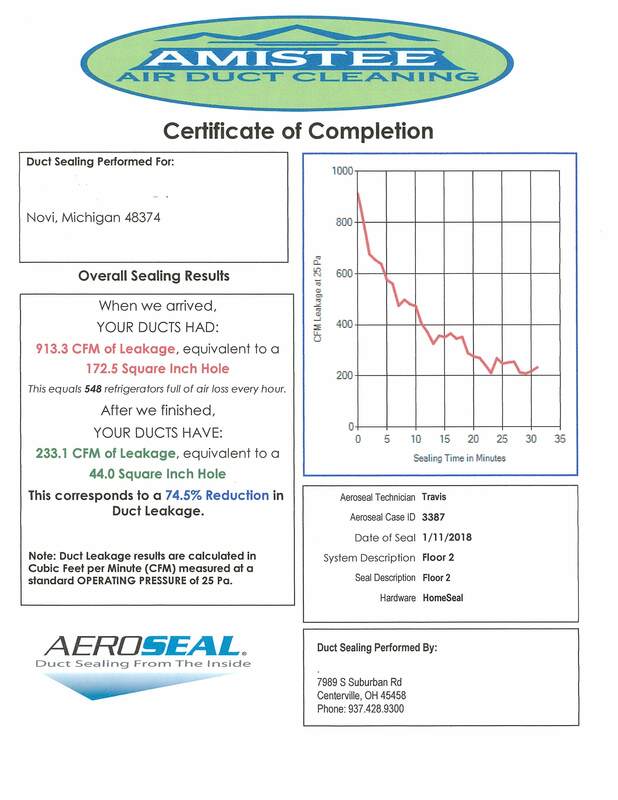 Although homes on a crawl space or ones that have ductwork running through an attic space are a MUST, every home is a great candidate for Aeroseal. Is there a guarantee for the sealing? Yes absolutely. We offer a 10 year guarantee through aeroseal that the glue will stay in tact but through testing, Aeroseal has said that it will last 40+ years. How long will it take to seal my homes air ducts? Although each home is different, Our sealing process may take 4-6 hours for a single furnace home. Will my furnace or air conditioning need to be off during the sealing process? This is a very good question. During the sealing process we need to pressurize the air duct system and to do this we need to have the furnace off. We typically see that during the winter months a homes indoor temperature will only drop 10 degrees. Will your sealing process fix a cold upstairs bedroom in my home? There are a lot of reasons that a room may be hot or cold. One of the main reasons is insufficient heat delivered to the room caused by leakage. Aeroseal will seal the ductwork allowing the proper amount of air to get to the room without having to add equipment or change the heating and cooling system. To make a long answer short, yes Aeroseal has been proven to help solve this issue. What is the cost to have someone come out and determine if Aeroseal will be a good fit for me? The cost is NOTHING to have one of our specialists out and access your ductwork. Our free consulation is what makes Amistee different. At Amistee, we use a patented breakthrough technology that was invented by NASA to seal leaks and holes inside of your air duct system. The patented Aeroseal technolgy will seal your air duct system from the inside out like you have never seen or heard of before. This process will seal any leakage that taping and mastic can not and get to unreachable areas in your heating and cooling system. If you are like the typical American, you know a thing or two about energy efficiency, but you're also leaving serious savings on the table. Not one person from a national survey of Americans got the answer correct that duct sealing offers the number one savings inside of a home over insulation, programmable thermostats, windows, upgrading HVAC equipment and other household upgrades. How does the Amistee Aeroseal process work? Amistee utilizes the patented Aeroseal process, taking a non-toxic liquid sealant, heating it to become an aerosol mist as it is pressurized and inserting it to the interior of the duct system. The mist travels through the pressurized duct system and seals visible, invisible, and inaccessible leaks in your HVAC system. At Amistee we guarantee it and it is certified. Jacob and Greg performed a duct sealing job at my home in Livonia. They were periodically supervised by Steve. Steve gave me a good price for my colonial. They were able to reduce the leakage in my HVAC ducts using the proprietary Aeroseal process. The 83% reduction in the leakage will help me reduce the size of the HVAC systems I intend to install in May and which will also qualify me for a $200 rebate from CMS Energy. They were professional and patient with my many questions. I would recommend Amistee to my friends. Great work! 2 teams over 2 days cleaned 50 years of dirt out of my ductwork, then sealed the ducts with Aeroseal (a 90 % reduction in duct leakage!). These guys were polite, worked hard, and tidied up thoroughly afterwards. I'd recommend this service (and techs Rob, Robert, Jacob and Greg) to any of my family or neighbours. Thanks, guys! Energy savings can result from reduced air duct leakage, which can be significant. Results can vary depending on several factors including climate, utility rates, and the individual characteristics of your heating and cooling system. In addition to energy savings there are other benefits of reduced air duct leakage such as more even temperatures in all rooms, improved indoor air quality, and reduction of odors and fumes.